BAA is a leading airport operator whose work touches on almost every area of airport life, from day-to-day security and retail, to strategy and investment in some of the UK’s busiest airports, including Heathrow. 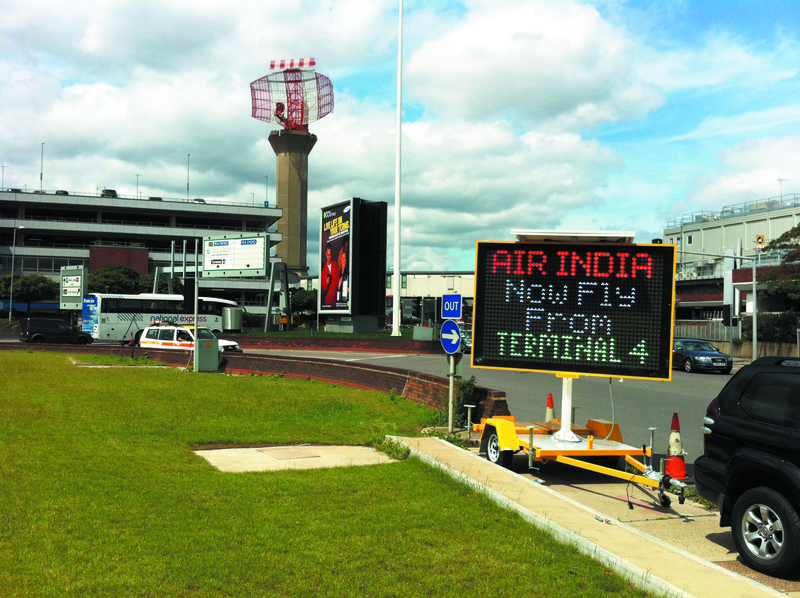 MVIS – provider of the first five-colour VMS signs in the UK – was chosen to support the master traffic management plan surrounding Heathrow Airport’s £800m Terminal 2 replacement construction programme. With a fully autonomous solar charging system, the innovative five colour VMS signs operated continually under normal operating conditions. A single plug and play controller housed the sign’s unsurpassed technology, with a range of features and functions not available in any other VMS. The VMS signs, which have Highways Agency approval for replicating Chapter 8 signage, offer customers the choice to create more ‘stand out’ messaging by replicating brand logos and using multiple colours on roads where TSRDG (Traffic Signs Regulations and General Directions) regulations are not in force. “The visual impact of colour on these signs has had an immediate positive effect on traffic flow. Terminal 2 is currently an extremely busy part of the airport roads network due to the volume of construction traffic, traffic management restrictions and the need for our customers to access Terminals 1 and 3, and the signs have proved invaluable in minimising disruption.